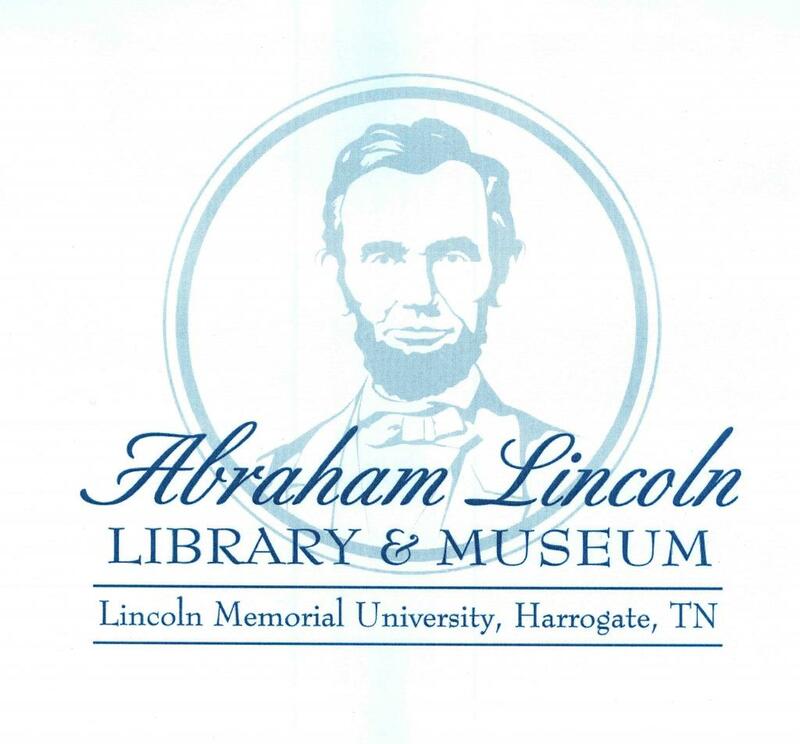 Handwritten Special Orders that Captain Harris Parr, Military Storekeeper of the Albany Arsenal will will fire salutes the following day in honor of Lincoln's remains. 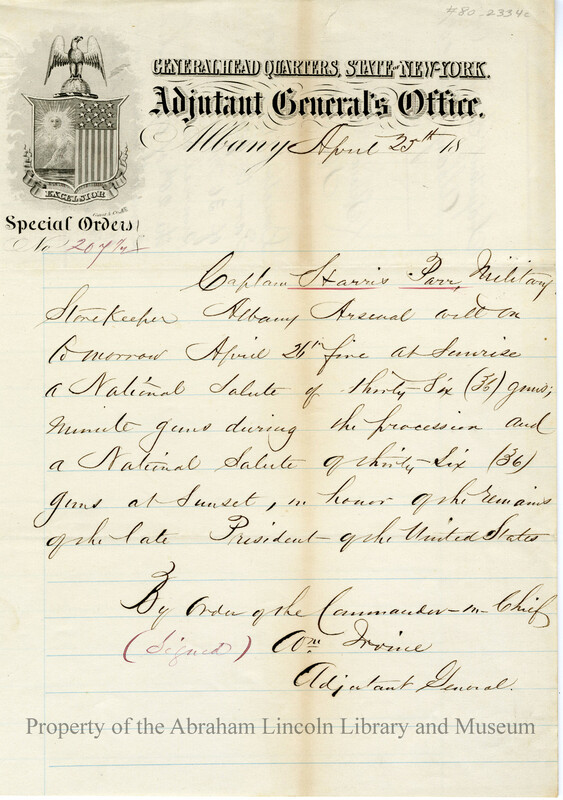 Signed, William Irvine, Adjutant General. Captain Harris Parr, Military Storekeeper Albany Arsenal will on tomorrow April 26th fire at Sunrise a National Salute of Thirty-Six (36) guns; minute guns during the procession and a National Salute of Thirty-Six (36) guns at Sunset, in honor of the remains of the late President of the United States.